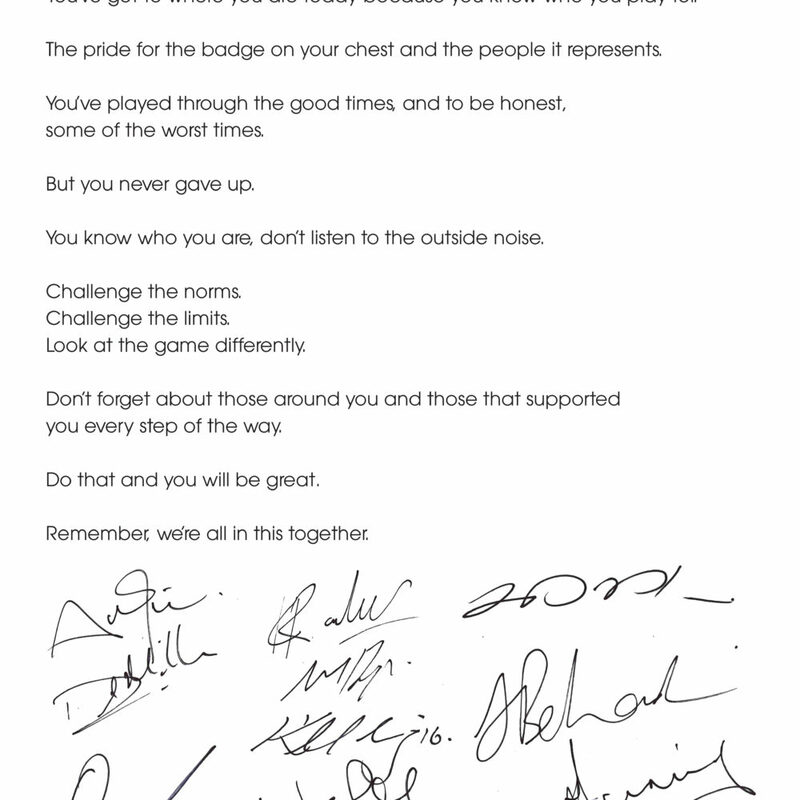 Inspired by the standout Protea graphic on the new ODI shirt and what the symbol means we penned an emotionally charged letter from the team to their future selves. It was led from the insight that all sports teams/athletes go through ups and downs and that fans share the emotional ride. Aligned with the global ‘My Future Self’ narrative requirement our campaign got the nation feeling that we’re all in this together. We introduced #BeProteas with social teasers and a consumer competition that called for fans to receive the new kit first. We then published the letter on CSA, NB and players platforms before launching the 60’ lead commercial where the words of the letter were narrated by the players in a motivating piece that landed the campaign. On launch day fans didn’t know that a Protea was actually going to hand deliver their kits. Players arrived at schools, homes and workplaces across the country. Content was published live across various platforms. 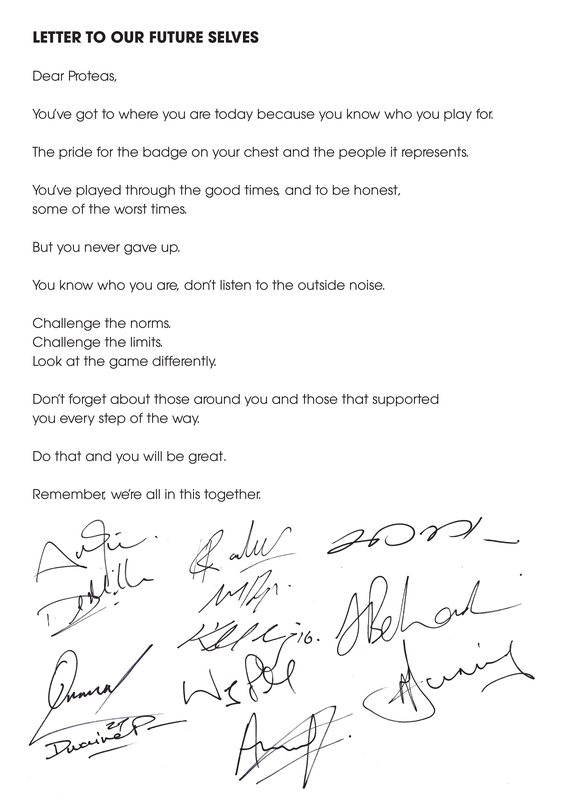 A comprehensive social programme followed that included extracts from the letter that were animated into the real handwriting of the players on social platforms.